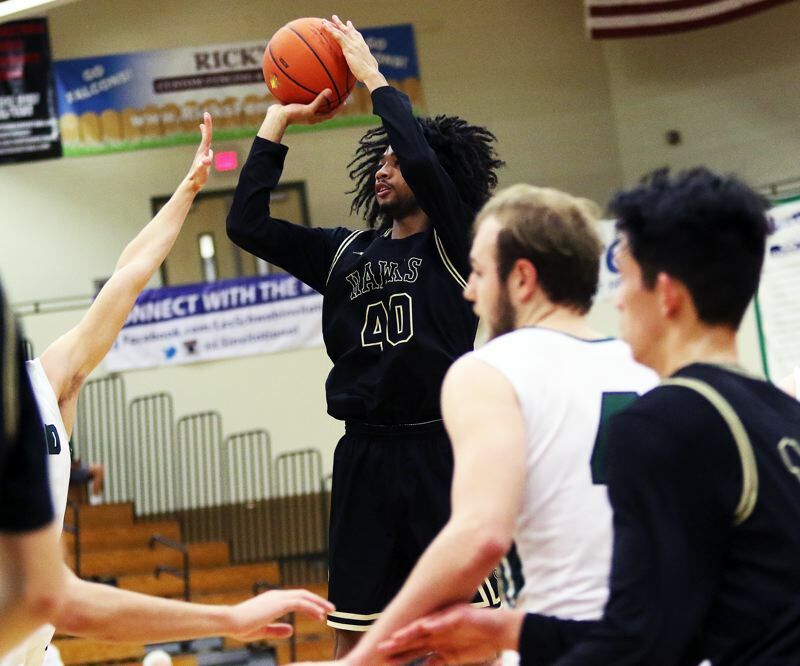 HILLSBORO — After getting off to a 0-2 start at the prestigious Les Schwab Invitational, the Tigard High School boys basketball team was determined — very determined — to get a victory. And, thanks to some stout defense, and some clutch play on offense, the Tigers got that victory. 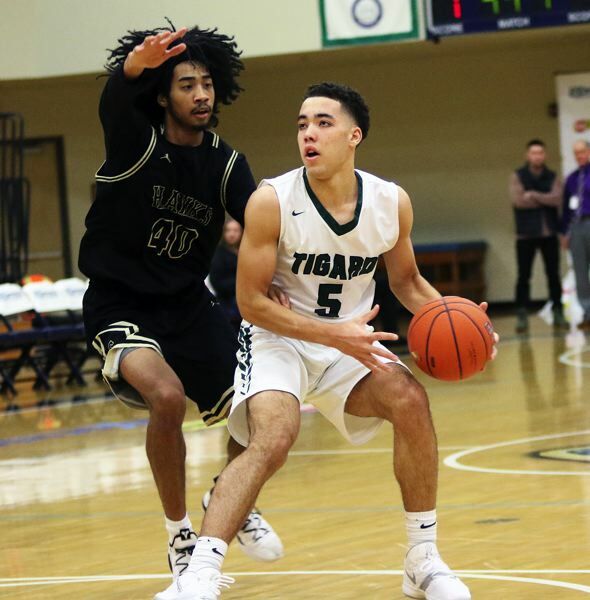 Tigard, rallying back from an early deficit, powered its way to a 60-54 win over Southridge in an invitational game played Friday at Liberty High School. 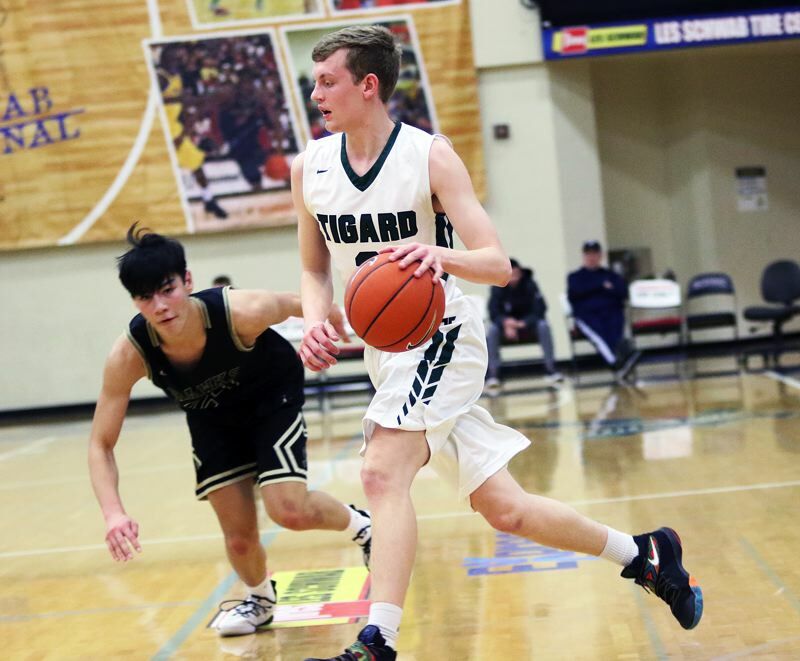 "It's really big, coming off two losses," said Tigard senior Stevie Schlabach, who scored 22 points in the win. "We just stuck to our game plan and came through." 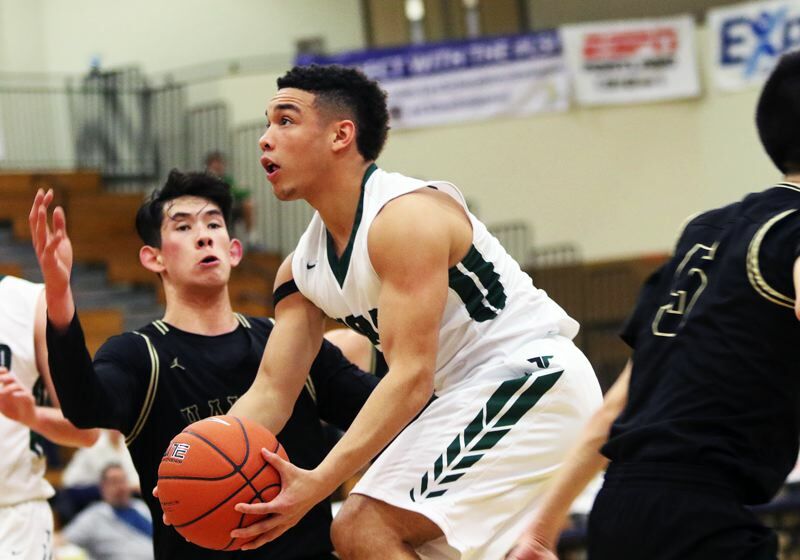 "It feels good," said Tigard senior Diego Lopez, who scored 16 points. "We had a rocky start, but it feels good to get a huge win at this big tournament." Southridge moved to 6-4 on the season, to that point, with the setback. 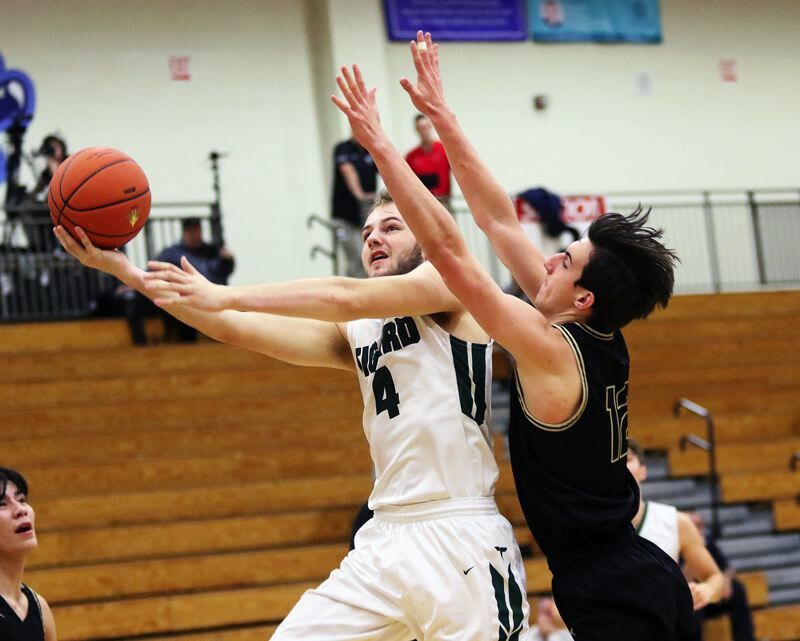 Tigard, which fell to national power University School, Fla., 76-51 to start the tournament on Dec. 26, and then lost to defending Class 6A state champion Grant 73-51 on Dec. 27, improved to 6-5 at that point with the victory over the Skyhawks. "We want to learn, and we want to compete, but mostly it's the learning," Schlabach said of playing at the tournament. "We're playing against some really good teams, so this should help us in the long run." "We're just trying to improve as we're getting ready for league," Lopez said. The Tigers, with sophomore Drew Carter sinking a 3-point basket and scoring seven quick points, grabbed a 12-6 lead over Southridge with 3 minutes and 6 seconds remaining in the first quarter of Friday's game. But the Skyhawks came roaring back. 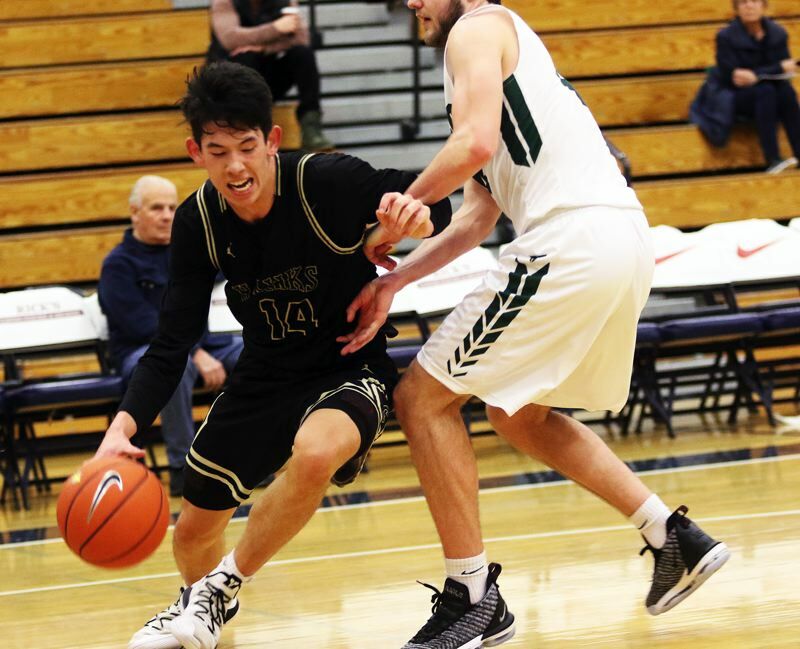 With senior Brock Henry connecting on a pair of 3-pointers, and with senior Pono Van Dusen scoring on a pair of drives to the basket, Southridge rallied to claim an 18-15 lead at the end of the opening period. "That first quarter, it was a bit rocky-going for us," Schlabach said. "In the second quarter, we turned the corner and turned it on, and then we just kept going from there." Southridge, getting a steal and layup by junior Connor McClean to open the second quarter, upped its lead to 20-15. But Tigard took over from there. The Tigers went on a 7-0 run, which included a basket on a drive by Schlabach, a free throw by senior Jake Bullard, a hoop coming off a baseline drive by senior Jazz Ross and a layup by Schlabach, to take a 22-20 lead with 4:12 left before halftime. The Tigers went on to hold a 28-26 advantage at the intermission. "In the locker room at halftime, we stressed playing hard on defense, and getting our offense going," Lopez said. That talk seemed to pay off. 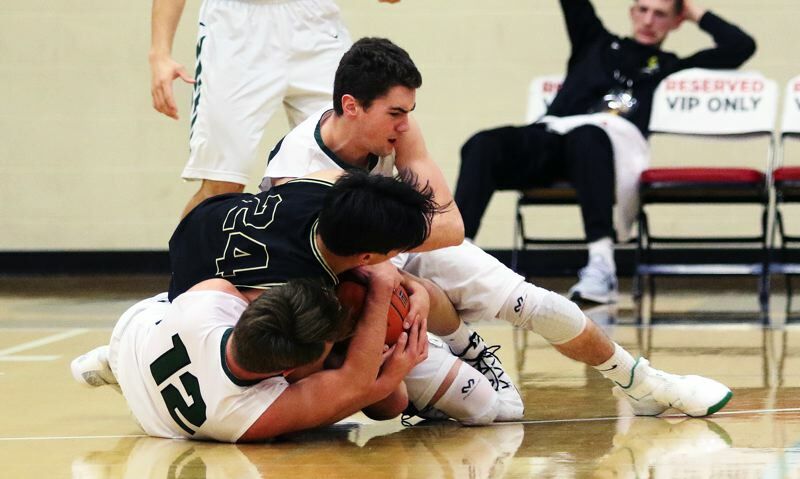 Tigard, getting a pair of baskets by Schlabach, two free throws by Lopez and a free throw by Ross, after he was fouled on a follow-up shot, scored the first seven points of the third quarter to open up 35-26 lead with 5:38 left in the period. The Tiger lead was still nine, at 43-34, after Lopez scored on a drive up the lane with 2:22 remaining in the quarter. 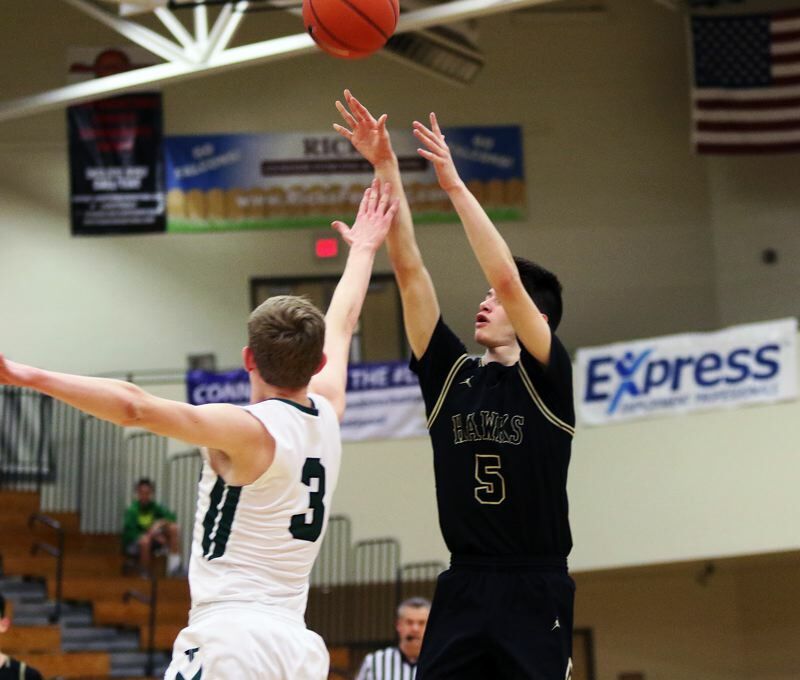 But Southridge closed the period with back-to-back baskets by sophomore Jha-Barrie Portis and senior Ben Pak, trimming the Tigard lead to 43-38 going into the fourth quarter. Portis opened the final stanza with a follow-up basket, getting the Skyhawks even closer, at 43-40. But the Tigers took charge again. Schlabach and Lopez sparked a 9-0 Tigard run, giving the Tigers a 52-42 advantage with 4:19 left to play. From there, Tigard, getting a basket by Bullard and free throws down the stretch by Carter, Schlabach and Ross, closed out the 60-54 victory. "The defense definitely was the big thing. They have some players who can play, so we had to turn it up on defense," Schlabach said. "When we're moving the ball, we're a pretty good team, so we're going to keep trying to do that from now on." "At then end we were able to get it done, hit our passes and get to the line," Lopez said. Schlabach, in addition to his 22 points, also had 10 rebounds and a pair of blocked shots. Lopez scored 13 of his 16 points in the second half. "I thought that we needed a spark, so I decided to do what I do best," said Lopez, who also had four rebounds and three assists. "I drove and attacked and tried to get to my spots." Carter added 11 points and six rebounds for the Tigers. Ross had four points, seven rebounds and three assists. 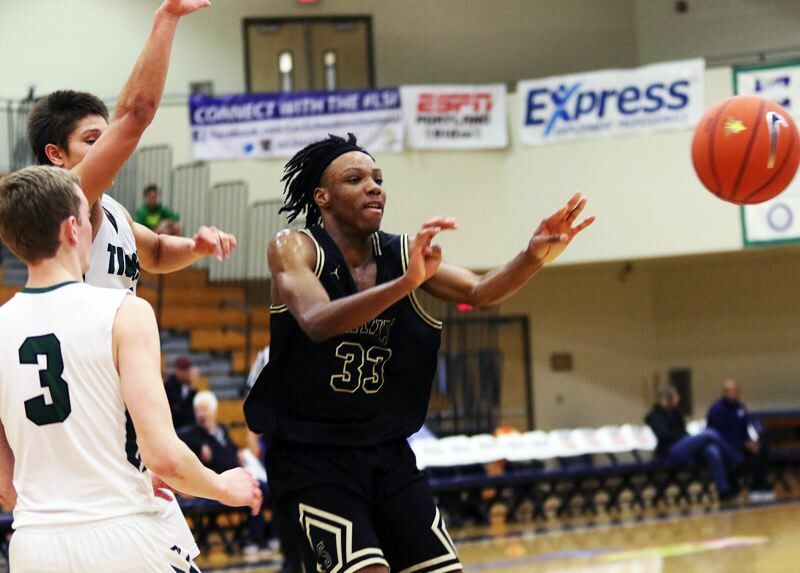 Tigard, as a team, made 20 of 47 shots from the field, with three 3-pointers, and 17 of 21 free-throw attempts. Henry, shooting at a 5-for-9 clip from 3-point range, led Southridge with 19 points. He also had eight rebounds. Van Dusen scored 10 points for the Skyhawks. Portis and McClean each eight. Southridge, as a team, made 21 of 52 shots from the field, with six 3-pointers, and six of nine free-throw attempts. 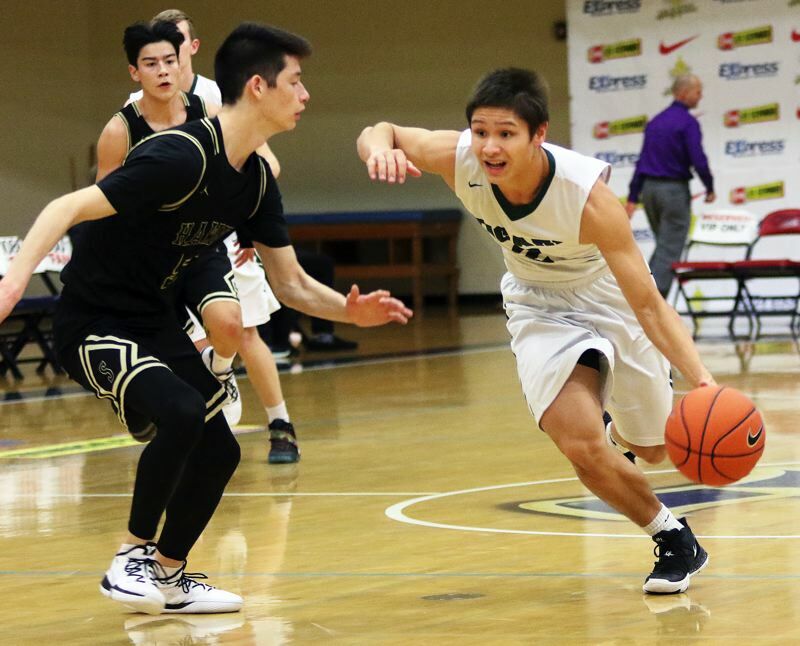 Tigard closed out tournament play on Saturday by scoring a 78-60 win over Churchill. Schlabach scored 28 points in that game, while also having eight rebounds, two steals and two blocked shots. Carter scored 26 points. Ross had eight points and six rebounds. Southridge, on Saturday, fell 73-58 to South Salem. Henry scored 30 points in that contest. Portis added 10. Southridge will be back in action on Friday, when it hosts Newberg in a non-league game starting at 7:15 p.m. Tigard will next play on Tuesday, when it travels to Canby for a Three Rivers League opener starting at 7 p.m.